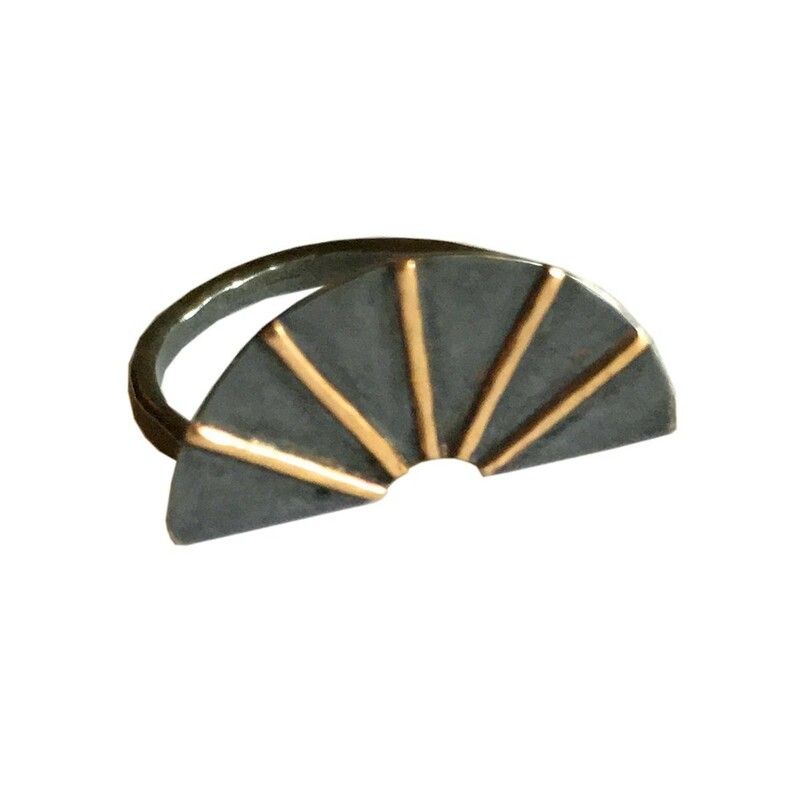 Our Zenith ring is made in 10K gold and oxidized sterling silver. The design is influenced by the idea of apex and all stages in between. All of our pieces are handmade to order using fair mined and recycled precious metals.